An epidemic far worse than seasonal flu and H1N1 flu combined has swept the United States. To make matters worse, this epidemic is ignored and even supported by large c orporations, the media and the government. This epidemic is that of prescription drugs. In fact, prescription drugs now cause more deaths each year in the US than street drug overdoses according to Leonard Paulozzi of the Centers for Disease Control and Prevention (CDC). Consider that as of November 17, 2009, worldwide mortality from Swine Flu is 8,118. Deaths in the US from Swine Flu as of that date are 1,918. The CDC reports that over 26,000 Americans die each year from drug overdoses. Deaths in the US due to drug overdoses are more than 13 times more frequent than death from Swine Flu. This comparison leads immediately to two observations. Firstly, there is no war on prescription drugs. In fact, prescription drug advertising in all forms of m edia including television continues to increase. Secondly, according to all recent studies, flu vaccines and medications are of no benefit in either reducing the severity of flu symptoms or shortening the time a patient needs to recover from the flu. 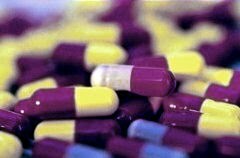 Further, the use of medications such as Tamiflu may be harmful to some patients according to a study published in the British Medical Journal. The medications can be directly harmful to patients and their use may increase viral mutations to strains that resist any attempt to moderate symptoms. Influenza has caused morbidity and mortality throughout human history. Some epidemics and pandemics have caused more harm than others. It is human nature to seek ways to ameliorate suffering whenever it appears and this is admirable. We should continue to investigate was in which pain and suffering might be reduced but we have not yet reached the point where this can be safely or effectively accomplished. 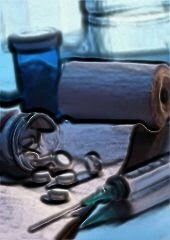 Most drug deaths result from addiction to medications used to reduce pain. According to the National Institute on Drug Abuse, addiction to pharmaceutical drugs is the fastest growing segment of this problem. Death from prescription drugs more than tripled between 1999 and 2006. This is truly an unrecognized epidemic that warrants far more attention than the current panic about the flu. Alternative methods of pain relief will be discussed in future articles. You are very correct. It is extremely sad that the medical profession, deemed the guardian of the health of patients, is caught in the middle of the unfortunate storm. Greed? Totally agree. Prescription drugs seem to be the first option with just any health issue. Sometimes a client needs to exercise, change their diet, see a chiropractor, etc. Thank you both for your comments. I support banning drug advertising in all but trade magazines published for healthcare professionals. These are the only people qualified to make rational decisions on the use of drugs. It is a very common occurrence that a pill is popped at the slightest hint of an ache or any other condition such as flu. It may seem like an easy fix using a prescription to treat these conditions but in truth the prescription medication is sending potentially harmful substances into your body to mask or cover up the symptoms rather than provide healing. In many cases there are side effects if attention is not given to allergies if any, to any particular drug. What you have said is so true. Use of prescription drugs is on the rise and something truly needs to be done about it considering the so many ill effects it has on health. I find this article great and useful in promoting chiropractic care in the market. Now is the best time to educate the community about the many ill effects of prescriptions and all that. 30 years ago we had a couple living in our basement. Their 8 month old baby went for a routine inoculation and for five days and NIGHTS that baby cried uncontrollably. The doctor told the parents it just had a mild infection. But that baby, motor control and mental capacity never grew at all. A few months later they had to get a helmet for it, because it would always fall over when it tried to sit. Very sad. The parents do not see the connection with her disability and that needle. SO SAD.